to add something different to your event! Why should you hire me as your magician? and make your event even more memorable! 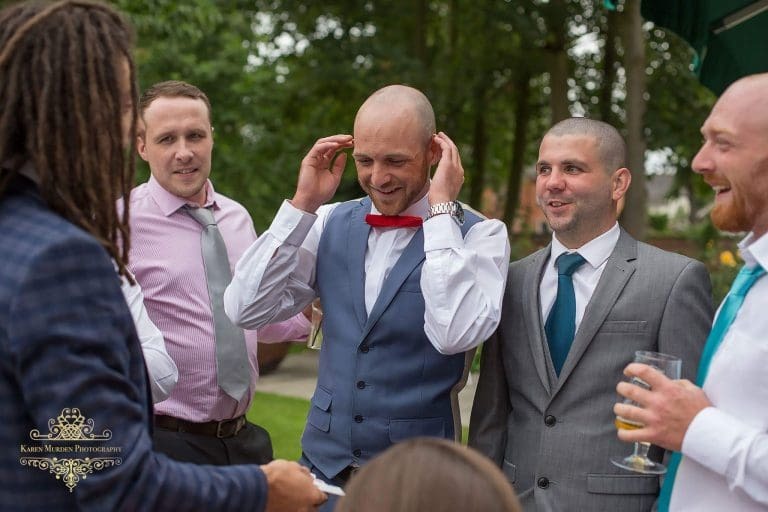 Oliver is an experienced corporate event entertainer, trusted by the likes of Next, Harvey Nichols, Argos and many, many more clients to baffle delegates at their staff parties, product launches, team building events and more! 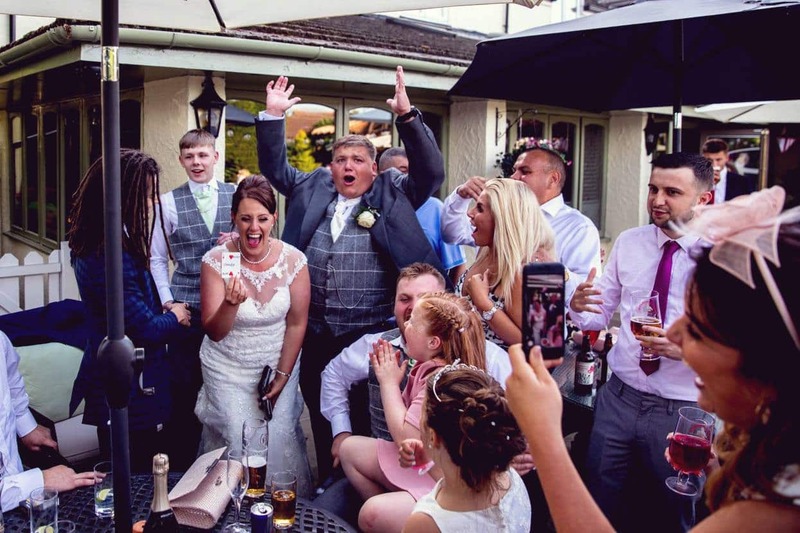 Do you want your wedding guests to be blown away and have something awesome to talk about whilst you’re busy having your photographs taken, or to fill in that awkward lull after the wedding meal? 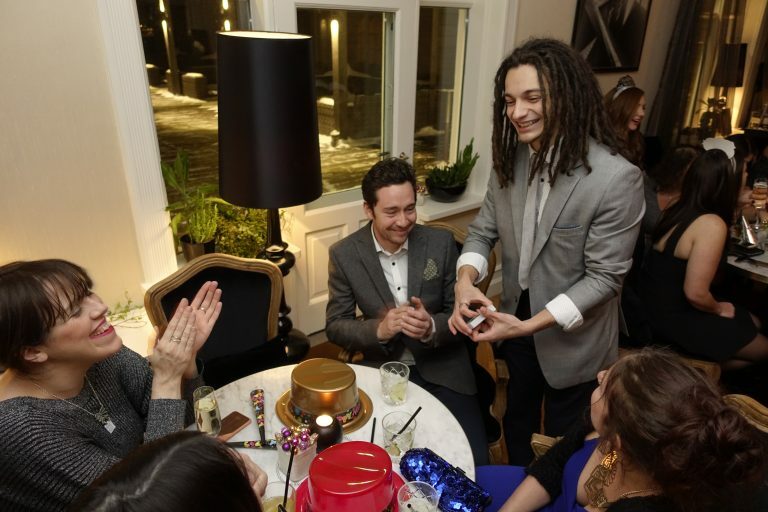 Oliver’s personable entertainment fits almost any size party, whether you need a private party magician to entertain hundreds of guests… or even just 5, Oliver can help create a lasting memory for your guests. Perfect to get people talking at staff Christmas parties, house parties, New Year’s Eve parties or other festive events where there are more than a handful of people to keep entertained. 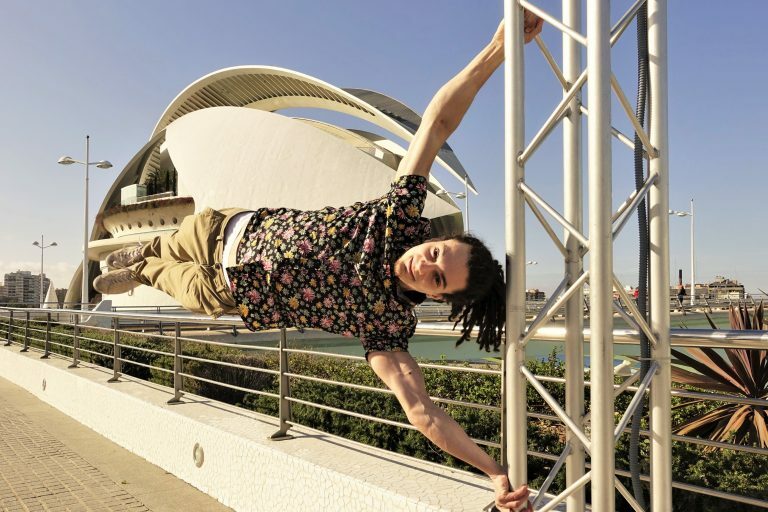 Customers love being treated to something unique and different by a friendly, young and personable experienced performer! Not only do guests repeatedly come back because of how much they enjoyed the magician’s entertainment, but they also rave about their experience to friends all over social media which brings more customers back to your door! 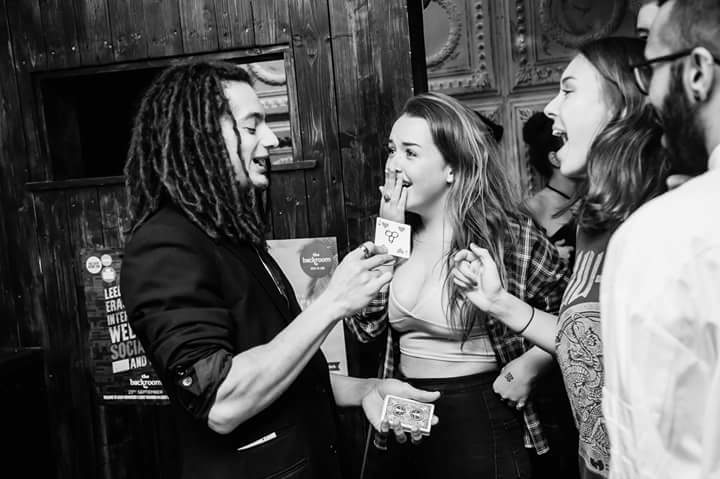 Street magic is awesome as queue line and smoking area entertainment for nightclub events, or to create a buzzing atmosphere at a bar that leaves people screaming about how incredible their night was at your venue! Based in Leeds, West Yorkshire, Oliver is centrally located in the UK making him the perfect professional entertainment choice if you need a Harrogate wedding magician, corporate magician in York, private party magician in Wakefield, Bradford, Huddersfield, Hull, Whitby or other areas of Yorkshire to travel to your event and create a totally mind blowing experience for all your guests. 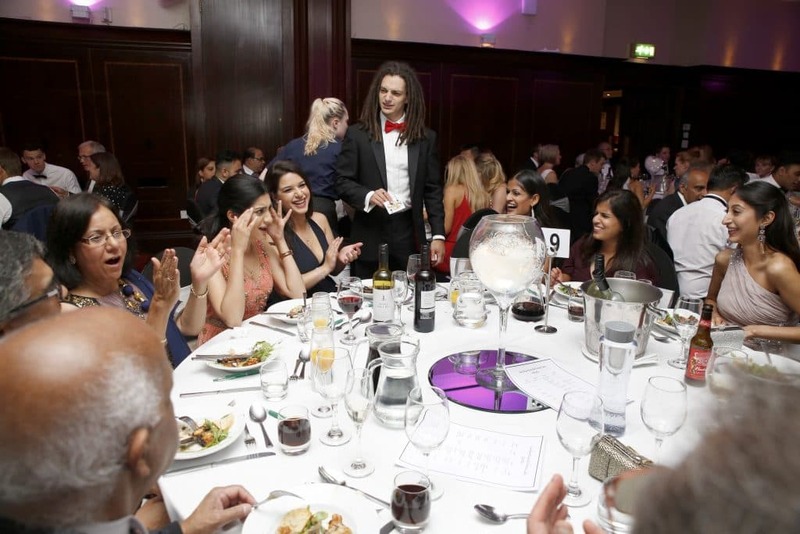 His award winning close up magic is in high demand around the UK at events in Manchester, Sheffield, Liverpool, Newcastle, Doncaster, Lincoln, Rotherham, Leicester, Nottingham, London, Bristol, Kent, Cardiff, Edinburgh and Glasgow. 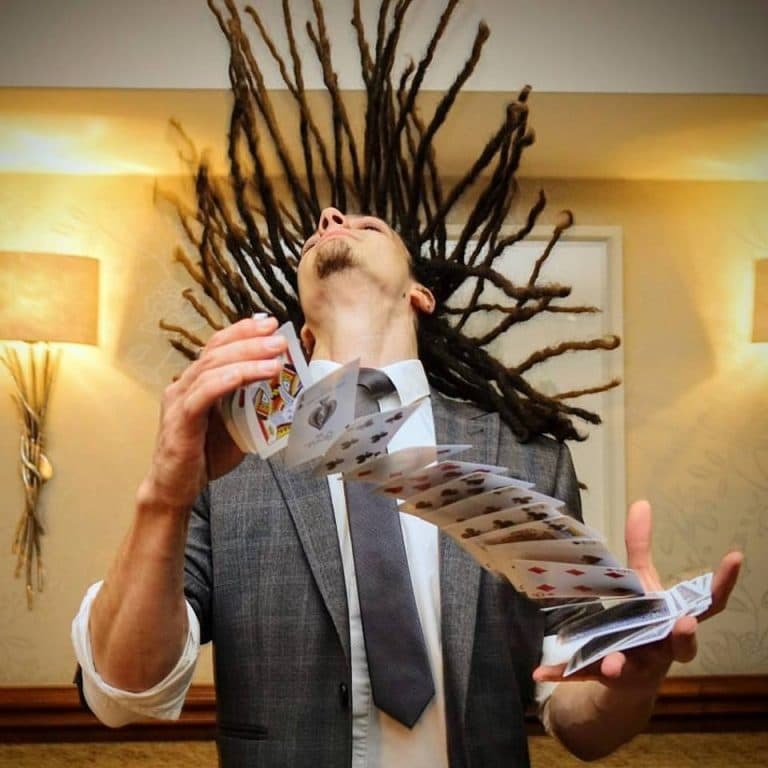 As well as being hired to make magic happen at events throughout the UK, Oliver absolutely loves to travel and has been the magician of choice for many international events, including corporate events, weddings, parties, concerts and surprises parties across the world! Oliver calls himself @funprovider for a reason! Why do you do magic? I mostly do this through magic, but I also breakdance professionally, facilitate team building rhythm and drumming activities with my father’s business, offer health & fitness advice and have a strange obsession with Iceland. 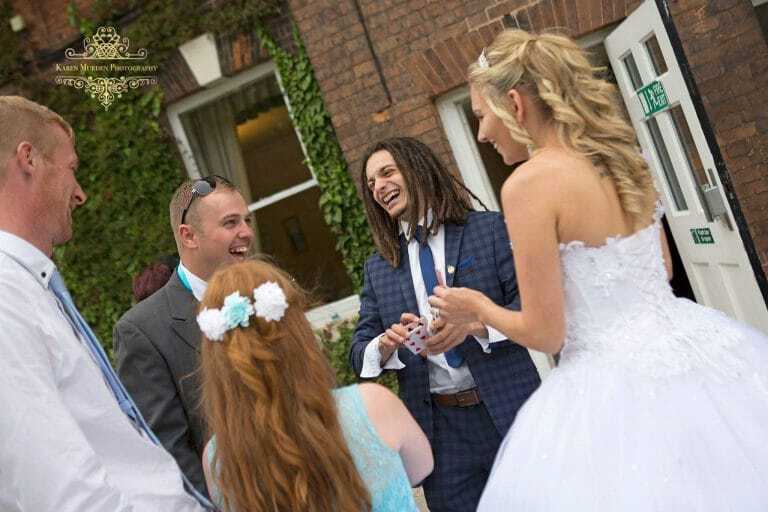 Entertaining others is my passion and what makes me happy – I had this realisation from about the age of 11 when I would perform street magic in my local town and every break time for pupils and teachers at my high school. I’ve never wanted to do a ‘real’ job since! I received a massive confidence boost and reassurance that my relentless hours of hard work and practise was paying off during my junior magician years when I won the first ever competition I entered: MagicTricks.co.uk Under 18’s Close-up Entertainer of the Year with a delightful prize of £200. 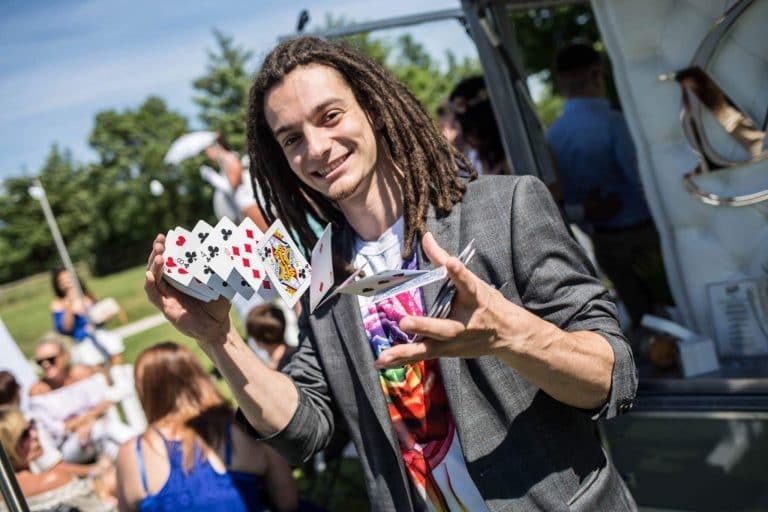 Aside from relative’s family Birthday parties and charity events – I was hired for my first professional well paid event by Asda at just 14 – performing close up magic around the Holt Park, Leeds store for a Harry Potter book launch day. 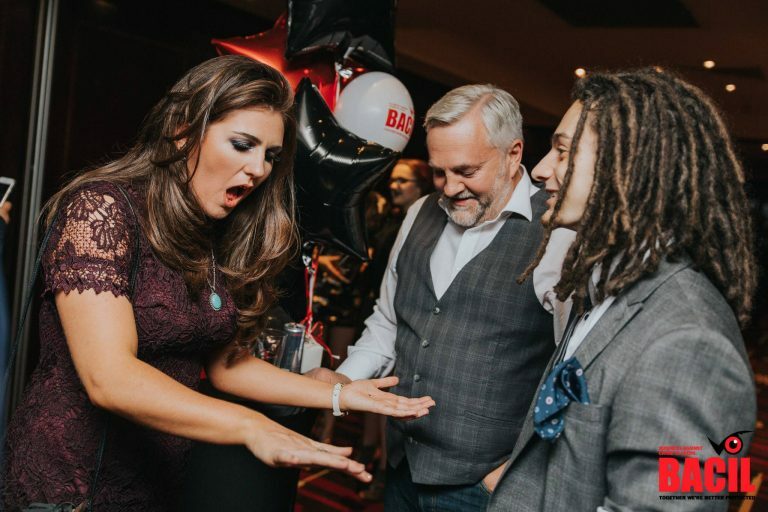 At the age of 16 I realised I loved the ability to connect with my audiences on a personal level, interacting with them face to face and experiencing their reactions as I made miracles happen right under their noses – this is when I decided to specialise in performing close up magic with everyday items such as money, playing cards, jewelry etc. and leave the out-dated traditional cheesy stage magic props behind. As soon as I left 6th Form, I registered as self-employed and tried to take over Leeds… with a pack of cards. It had been 10 years since entering my last magic competition so I decided to enter the Leeds Magic Circle – Close Up Magician competition… winning 1st place against some great Leeds magicians both young and old! I now travel the world and am hired to entertain at around 200 events per year – including several major corporate clients, but also lots of special individuals whose beautiful wedding days I’ve shared, Birthdays I’ve contributed to and soaked up far more nightlife than one individual should be able to handle! And I love showing magic to people! 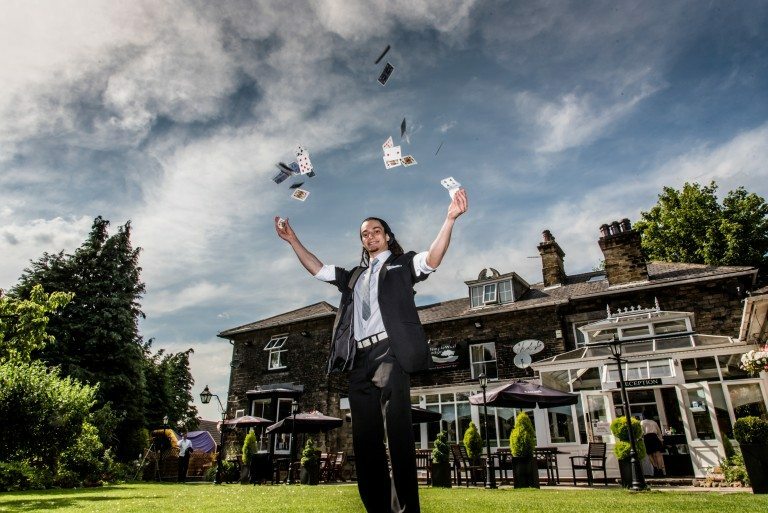 Oliver has been the magician of choice for staff parties, magic consultancy and management entertainment since 2012 for Next Distribution. annual staff Christmas party at Doncaster Dome with over 1000 guests! Why are you so slippery?! how you did that, ACE! such as Kate Moss at the Jack French London launch event. It’s annoying how GOOD you are! Went to Red for our daughter's 13th birthday, Oliver came to our table and showed us his amazing magic, wow! I watched in complete awe,this guy was amazing!! Brilliant for all ages, with a lovely personality and a great sense of humour! My daughter was very happy too btw 😉 , thank you Oliver! We have had Oliver at our last 2 Halloween events and are looking forward to making it our third this year. Oliver is a top entertainer and works our large crowd of party goers of all ages marvellously. I really enjoy hearing from guests about all the different tricks he has performed through the night. 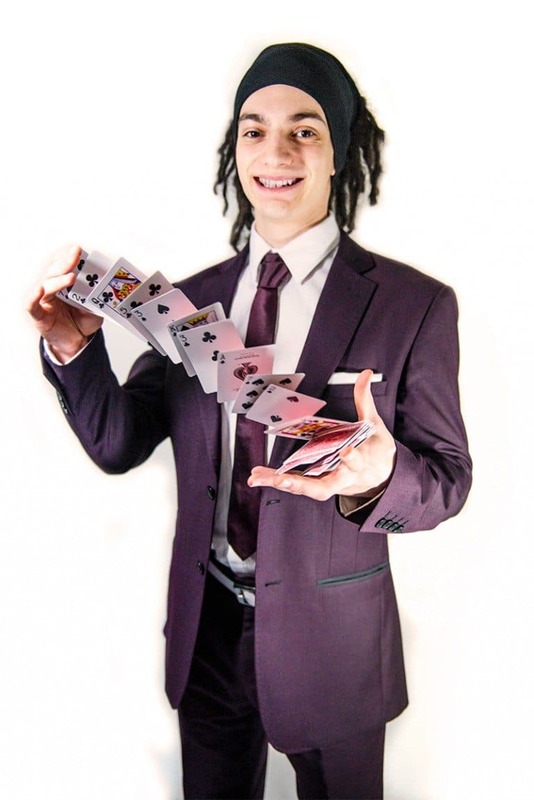 They are all perplexed and thrilled to have seen great magic that they just cannot unravel!With a vast array of tricks up his sleeve, he also has an easy, entertaining manner and his tricks are always exciting. Kids and adults follow him round keen for the next trick and he really is the talk of the night. We hope to always welcome Oliver back at our events and you should definitely try him at yours! Booked Oliver for my party on Saturday, he was absolutely amazing, very professional and just a really nice guy. Every single guest said he was the best magician they had ever seen. I would definitely book him again without any hesitation. Absolutely fantastic!!! Oliver is unbelievable!I experienced Oliver's magic in a huge New Years Eve party in Reykjavik, Iceland. It was incredible. Having him in the party was one of my most memorable experiences from my entire Iceland visit! Can't wait to see him again! We booked Oliver for our wedding last weekend and he went over and above anything we could have hoped for. He is so professional and amazingly talented...our guests were blown away! 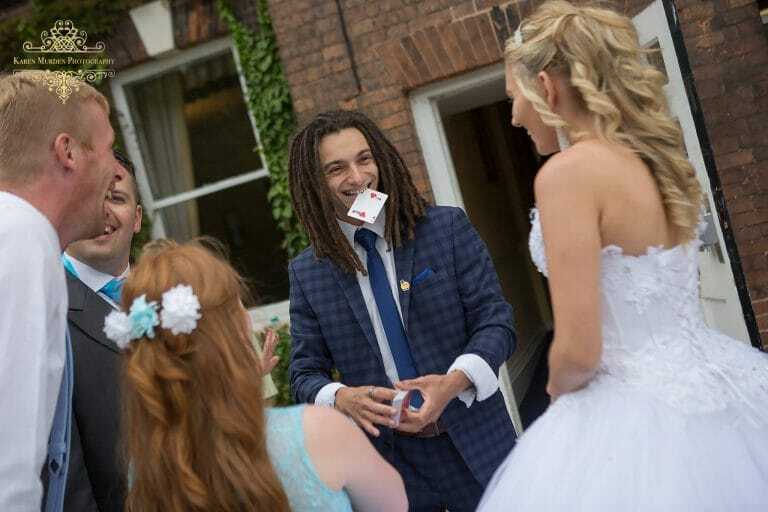 And he even provided some personalised magic tricks for the bride and groom so we didn’t miss out! 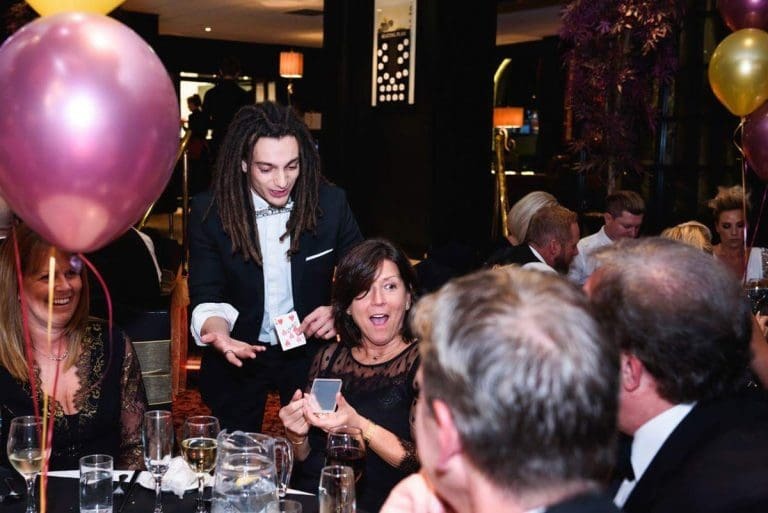 If anyone is thinking of hiring a magician for an event, we would highly recommend Oliver - great entertainer! We hired Mr. Oliver Twist as a special guest for our Food Tour and ... WOW!All of our guests were blown away - and left with a big smile!This is THE go-to guy when it comes to making parties, events, tours (you name it) awesome! !Highly recommended! Oliver did a charity event for me this evening...he donated his time and amazing talent to raise funds, without hesitation when I asked him. His magic..Wow...how does he do that?This guy is pure talent and I would highly recommend...Just brilliant! Can i give 6 stars?? 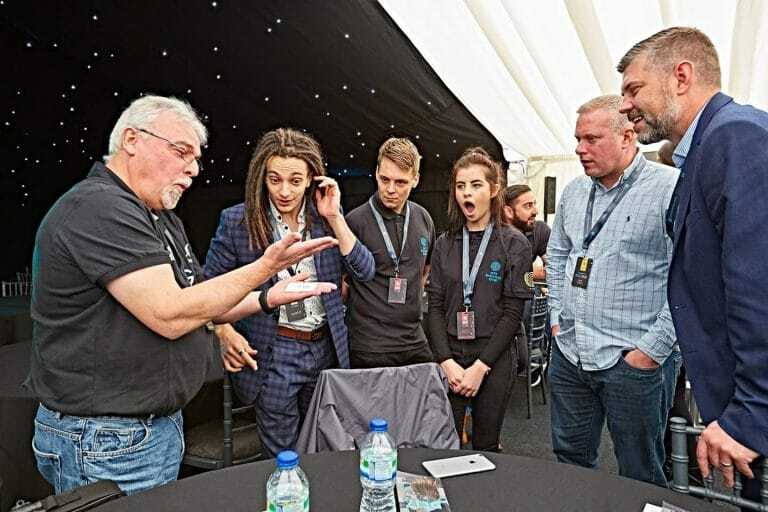 ?Absolutely awesome, everyone at the event was left speechless, great close up magic that blew everyone's mind.Oliver's delivery was perfect and built a great rapport with guests - thanks, and WILL see you again. Mind blowing - Oliver worked my Military Christmas Ball and was fantastic. He was like a true magician popping up, amazing guests then vanishing leaving only puzzled faces and stories of what might have been. He paid that little extra attention to the VIP's which went down brilliant with the bosses. Thanks again Oliver I highly recommend to everyone. Oliver's a great guy who you'd want at your party even if he didn't do magic. He does, and it's awesome – and everybody was still talking about him at breakfast the morning after! Excellent magician, couldn't recommend him enough. Book him, you won't regret it!